Just like your dresses, even your full face snorkel mask sizing vary from one another. The brands of the full face snorkel masks manufacture many sizes on the basis of their standard. These masks normally have sizes that range from extra small or XS to extra large or XL. However, if you do not know how to pick the correct size or take a look at the sizing charts of all the brands, you will not be able to understand the differences that they have. The full face snorkel mask sizes depend on the size of your face in the first place. No individuals have the exact similar kind of face shape or size. This means that all the masks will not fit a person. Therefore, the first thing that you have to do is determine whether your face is narrow or wide, small or large. It is not hard, and once you detect the size of your face, you can understand the size of the snorkel mask that you will need. Ensure that your snorkel mask fits your face properly. ​The masks that are made of high-quality materials are soft and have a flexible skirt. This skirt is nothing but that piece of material responsible for creating a seal between the mask and your face. Most people do not know that it is not only the length of the face that matters but also the width of your face counts. 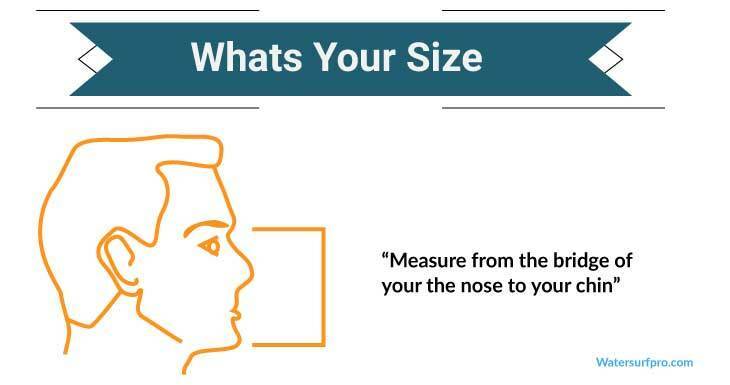 In fact, the size of the nose also matters a lot. All these have to be taken into consideration if you want your mask to be comfortable. Manufacturers have been trying to make the full face masks that will fit the faces of varying shapes and sizes. However, if your face is extremely wide, the mask will fit you, but you might not feel as secure as you had thought you would be. Interestingly, manufacturers have started claiming that the full face masks are capable of covering around ninety percent of the entire world’s population. Hence, there is little chance of your mask not fitting you. Also, if your nose is larger in comparison to a normal sized nose, no matter how big of a snorkel mask you purchase, they will rub on your nose bridge. This can cause discomfort, and if the material is not flexible, then it causes serious pain. Full Face Snorkel Masks for Children? Keep in mind that not only does the face come in various shapes and sizes, but also the size of the children vary. It has been observed that few kids are big for their age while others are extremely small. If your five-year-old kid has a big face, he will fit easily and comfortably into a snorkeling mask. However, if your child is small, it can be extremely difficult to find a mask that fits him in an appropriate manner. This is one of the key causes as to why you should not concentrate on the age of your child. The size is what matters the most when you want a snorkeling mask. Now, How to Understand if Your Snorkel Mask is Fitting You? Purchasing a snorkel mask in accordance with the stated size is not enough. You have to understand if the mask is fitting you properly so that you can prevent any discomfort and pain. It is mandatory to carry out the fit and comfort test as soon as you receive your snorkeling mask. All the masks, even if they are of the same size, will feel different on your face. In case you need to check if the mask fits you, you have to take care if the skirt is on the upper lip and it does not touch the lower lip and if the lens or the frame of the mask touches your nose. In the beginning, it might not really feel uneasy, but as soon as you strap it to your face, you will understand the discomfort. Hence, the fitting test should be done. Next, you have to perform the suction test, which is equally important. You have to keep the mask unstrapped from your face and press it while inhaling through the nose. This should be able to suction the mask to your face completely. Try moving your head and check if the mask is suctioned. If you laugh or smile or move a lot, the suction seal can break. But a slight movement will not break your seal. This is a crucial part of mask fitting which is no doubt necessary. The mask, with the snorkel, tends to change with the shape of the face, particularly the cheeks and the lips. You have to ensure that your fit is still perfect. If you have passed all these tests successfully and you see that your mask is ideal and is not giving you any discomfort or hurting your nose bridge in any manner, then this may possibly be the ideal mask for you. However, trying it in the water is also mandatory to prevent injuries or accidents. 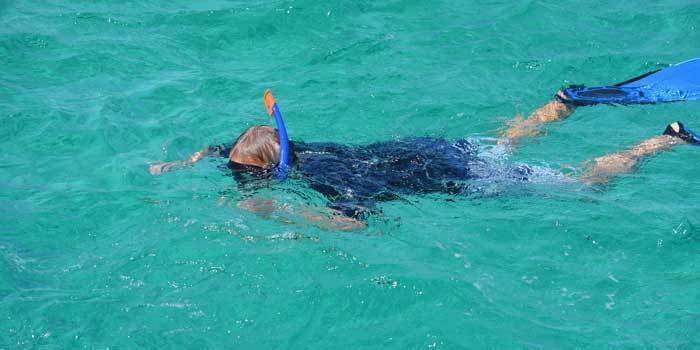 When you plan to snorkel for the first time, take it easy until you get completely used to the snorkeling equipment. With time, you will be able to adjust to the mask without any effort. Remember, for a good experience; you need a mask that fits you the best and gives you comfort. Are you done with all the things what I have mentioned above? But that is not all. To get the exact size for you, you may go through all the reviews on the internet about the mask you want to buy. Sometimes, how much concern you become, the main fault in the mask can only be found after using any product. So, if you want to buy the proper mask for you, you can go through the reviews too. so, the question is where you will get the reviews altogether? Here we are giving you the scope to take a look at the reviews of various full face snorkel masks. To know about size, comfort, and everything- just click it!